Gunter Kleinert was born on 14 June 1941 in Köln, Germany, where he grew up and attended the Humboldt Gymnasium. He served for 2 years in the Army (Gebirgsjäger in Bad Reichenhall) and studied Law at the University of Köln and Germanistik and Sports in Bonn. He started his professional career with radio and television broadcasting (WDR) in Köln. He became a political editor at the Bundesärztekammer (Medical doctors association) and, after three years, took over as the editor-in-chief at Markus Verlag in Köln. Pressechef des Hochschulverbandes (Press officer of the Association of German university professors) in Bonn from 1975-1978. 1979-1982 Pressechef des Zentralverbandes des Deutschen Baugewerbes in Bonn. He has been married to Wilu (née Riedel) since 1968. They have a son, Florian, and a daughter, Fee. 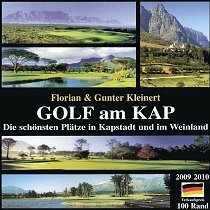 The Kleinert family emigrated to Stellenbosch, South Africa in 1982, where Gunter Kleinert founded the Euromedia Pty. Ltd. publishing house for German language magazines in 1986. He also runs a sawmill in Wellington, a nursery and the well known restaurant 'Garden of Africa' on his farm in Stellenbosch.